Why? Because if little Johnny doesn’t succeed in school, he will be a failure in life. Myth #1 You have to be an expert. Do you know your child? Do you know his gifts, his personality, what makes him work? Then who better than you can motivate him? You can teach your child. It doesn’t take a PhD to teach a five-year-old to read. A teacher is someone who knows a little bit more than his student. Are you already telling yourself I can’t do math? Maybe by teaching it, you will finally understand it. Or find someone who can supplement your teaching. But that is far down the road from grade one. It’s really Satan’s lie that says we can’t teach our children. Satan wants someone else to train your child. Because then heteaches him what hewants Johnny to learn. Myth #2 There is only one right, perfect curriculum. Although there are better ones, and not so good ones, studies have shown that the curriculum or even the style of learning does not matter. I have never gone to a curriculum convention. For me, deciding what is “best” for each child from all those choices is too overwhelming. Even leafing through Christian Book Distributors Curriculum Catalog is overwhelming. Often moms get consumed with getting the better curriculum. They start with one and don’t like a feature of it, so they dump it and try another. By the end of the school year they have three books, and none of them finished. And then some of the “basics” are missed. Let me tell you a little secret….None of them are perfect. Just pick something. Work with it. Supplement it, if you feel you must. The curriculum should not control you. You controlthe curriculum. If you don’t like an aspect of it and skip it. Youarethe teacher. If this curriculum doesn’t cover the spelling you want them to achieve, add more words. Do not pursue the “right” curriculum and forsake the teaching of truth. When we first started, I, with my background in teaching, had these idealistic ideals of teaching the Charlotte Mason style, where geography could be intertwined with reading about the country and its people and it would lead to science. That is a wonderful, holistic view of learning that I’m sure would make learning more meaningful and productive. I even tried it for two years. But I felt I needed more structure of what should be covered. And pausing too many times for potty-training made me forget what I was teaching. We have used the same curriculum for the boys, except after we realized there were gaps that we weren’t catching with the older boys, we changed the math and grammar to correct that. We succumbed to workbooks (albeit on the computer). The busy work was already graded for me—the computer did it. But the curriculum although not the best, didn’t keep them from pursuing what God had for them. Myth #3 You must teach them everything they need to know for life. Satan does a great job at convincing me every September about how inadequate I am to teach my children. I’m glad God doesn’t hurry my education and cram everything I must “be” to be His servant. He takes me where I am and shows me the next step. Often times it seems like it’s the same lesson I learned before. It may be, but this time, its deeper. The foundation has been laid. Now we add meat to the bones. Same with elementary school, middle school, high school, college or prep school, and life…. Myth #4 You gotta start young. There is a real push in secular schools to get your children at 3 years of age. And woman want that. Wouldn’t that save on babysitting costs for those women working? And don’t you want your child to have a good start? As if teaching them to read at three is the best for every child! Studies have shown, especially with boys, that age eight seems to be where hand-eye coordination seems to “finalize,” where musical talents seem to “gel,” where concepts seem to “click.” By hurrying them before that “eight,” some have already grown frustrated with school and struggle with a bad attitude. Most of what is covered before eight can be “caught up” in review by a child who is now ready mentally and physically to learn. Several of my boys had trouble reading. They would get headaches, eye-strain, and couldn’t read for long, as we sounded out C-A-T and T-H-E for the millioneth time. We took them to the eye doctor, bought expensive glasses and then when they didn’t have to labor over the letter sounds, they didn’t need their glasses, their headaches were gone! Guess what age that was. Yup, eight. Talk about learning slow. I should have learned with the first one. But I heard their complaints, and wanted them to read faster, so I could get over the C-A-T, too. What you must teach while they are young is obedience. You cannot teach without obedience. In other words, your child won’t learn if he can’t obey. We stressed that, even to the point of delaying some “education” until they got it. If the foundation isn’t laid for listening and following instructions, then no amount of talking will make it happen. Do you have to shop for groceries? That’s math. Figure which box of cereal is cheaper per ounce. Trips to town (which are all-day affairs for us) can be incorporated as learning. If nothing else, a time to learn patience with sibling interaction. (Social skills!) and Reinforce obedience, “If you ask for anything, I will get nothing." When I first started homeschooling, I bought a big calendar, like what “normal” teachers use to write their lesson plans. I wrote everything we did, including special field trips and “learning lessons” like the vet coming for a sick pig or a repairman coming and the boys watching what he did. These are lessons. This broadens their learning to see applications. I am amazed at how many people think that by putting 30 children, all the same age, in a classroom, they will develop balanced, healthy adults! What they learn is how they can get what they want better and faster, because if they don’t, someone else will. Selfishness is ingrained in all of us, it takes someone of maturity to show and discipline how to give. Nor do they know how to relate to younger or older people. Is that social development? Many people, especially early on, would ask us about the boys being socialized.I would ask, “Why?” Did I want my boys to be as selfish and self-absorbed as everyone else? Now that doesn’t seem to be an issue with people. No one cares if they talk to someone else. Aren’t they on their phone all the time anyway? 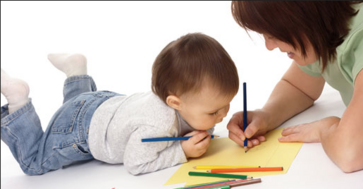 Studies, that are not well publicized, have shown that a toddler who spends not quality time, but quantity time with their mothers are more stable. When they don’t have to wonder where Mommy went, they can learn other things. When they (and their moms) don’t have to cry every day when they are left at school, they are secure. Security is the foundation to all other learning. If you don’t believe the teacher, how can you trust her words? Myth #7 They must be in their seats eight hours a day to count as a school day. Each state is different. Our state, although communist in many ways, allows homeschoolers to decide much. We must teach certain subjects, but we decide what book, how, and to what extent. When many of the public school students are waiting for the bus at 6-7 AM (especially the high schoolers who must travel to the valley), and then repeating that bus ride for the return trip, my children can use that time for other things (sleep included). Remembering all the teacher conferences and non-instructional days will also encourage you that school isn't as regimented as you might think. I've even learned that teachers most now accommodate children who want to lounge or stand when they are doing their school work, so feel free to accommodate your child's needs! I am very scheduled with school, after all it is a discipline. We start at 8 AM, after chores, and breakfast (we have the self-serve, no fancy style breakfasts; Joey is already gone to work). I push to start at that magic 8 AM. That allows for interruptions. If a cow gets out and has to be tracked down the street and brought home, or the baby feeds extra long, we have grace timethat allows for these unexpected, but necessary things. Sometimes those interruptions become our day. Because we do what we can every day, pushing when we are motivated, relaxing a bit when our energy and attitudes aren’t the best, then these interruptions do not bring stress. But if they become every day occurrences, then we must take a day to fix fences, or eliminate the “emergency” aspect of those interruptions. Putting out fires every day can influence learning. You can’t put a grade on such practical learning instructions, or on the responsibility that learning those things brings. If you can’t do anything else, read to your children! Afternoon is also the time for application of learning: cleaning the barn, fixing fences, fix-it projects in the house, gardening…this is where you find what your children like and don’t like. When children have the wiggles, seat work won’t work. I have sent some to run to the gate and back (a 50-yard dash, one way). By the time they ran it, they maybe able to sit or they may need another run around the property. Because we live in the country, I don’t worry about the “school day.” If the boys are finished early, before other school students are out of school, they play outside. But I would be more cautious if I lived in town. People always ask when we are shopping, “no school today?” We say nothing more than, “We homeschool.” Often they are cashiers making conversation. Many remember us from last month’s trip, or just noisy customers. They don’t need to know anything more. Home School Legal Defense Association (HSLDA), of which we are members, tells what each state requires. Every year, my husband (as principal) reads through their requirements. California requires so many classes, and to file a form every year. They do not ask for student names. Some states require periodical testing to determine grade level. We never tested. We didn’t “begin” formal reading until the boys were eight, (although in “school,” they were “behind” on some things until they easily caught up after ten. But because I stressed obedience and discipline, they were self-motivated to do their school and it wasn’t me pushing them through it. I felt like I was being tested on my teaching ability. I felt like I had failed (again that myth #1 and #3). I had to focus on what God had sent for each day. And that was enough. That’s what He wanted them to learn. HSLDA also will defend you and advise you if a police officer or social worker comes to your door. I post my membership card on my refrigerator in case a social worker or police officer questions my rights. I would call HSLDA before answering the door and request their help. Most police officers are thrilled that our children are responsible, law-abiding citizens. They leave us alone. (It’s the social workers who want control over your children that you must watch out for). My sister taught in NY state. She saved every piece of schoolwork her three boys did, just in case. How each state and individual “works out” homeschooling is different. Myth #9 Your child won’t get a diploma by homeschooling. If you are the principal and the teacher, why can’t you make your own? HSLDA has some templates for their design that give requirements and suggestions for fulfilling college requirements. Our local community college allows for 11thgraders to take two classes per semester free. Does any employer ask what grade you got in math in 8thgrade? Myth #10 You must finish the book. Do you remember finishing every book in every subject when you went to school? When I taught, I did. But I only taught two years and I lost some students in the process. Don’t let the curriculum control you, you control the curriculum. The books are a framework and suggestion of what might be learned, not the all conclusive Word of God. Don’t stress over progress. Although there is a balance of keeping at it, even when you don’t feel like it. Your stress over “just getting through” will be absorbed by your children. The loss of “loving to learn” will be replaced with “what must I know for the test.”. My philosophy has mellowed to “get the gist.” Our curriculum for history stresses dates and details. Which are important. But I want the boys to get a flow of history, what happened to cause this little detail, and how did that effect history. If they can get a general picture of what happened, they can look up the details when they are interested. That also enables a higher learning than rote memory of just getting the facts. Sometimes a concept isn’t learned. As in math, if it isn’t gotten the first time, they have more practice to get it again and again every day. But sometimes it is worth going back and getting it, rather than pushing through and hoping they get it. I’ve learned that the hard way with some of my boys. Wrong practice won’t get it. Myth #11 There’s a better teacher out there. We’ve already covered you aren’t the expert but you don’t need to be. And some days when you are butting heads with your twelve-year son wondering why school is so hard (for you), you doubt your ability and fortitude. I have noticed at certain stages in our boys’ development, they push the limits, maybe with a rebellious undercurrent rather than a steam roller. They must exert their manhood. They must establish their “own” territory. They don’t like to ask for help—like the man who won’t ask for directions. Some will say, “I got it.” When both of you know, he doesn’t. I don’t push it. But I do have that “talk,” if they don’t understand, they will need this later in life…(Blah, blah, blah). My husband takes a more active role in high school. They have those “father-son” talks, prompted by the mom who says, “something’s wrong.” They work for a bit until we have another run-in. My husband reminds me a lot that I am the teacher (and mom) that this son needs. I sigh in disbelief. But the reminder helps. Which leads to the next myth. Myth #12 You can homeschool even if your husband doesn’t want you to. With all that negative feedback, you need support. When we first started, I joined a community of homeschoolers. We were part of it for several years. We got together once a month for encouragement and for the kids to play. What I learned from those times was that it didn’t matter how, what or when you taught, children still learned. But I’ve also watched families with one parent pushing for homeschooling while the other says “no way.” When the husband says, “Public school was good enough for me, it’s good enough for my kids.” The husband is ultimately responsible for protecting his family. Without support a house crumbles. Perhaps you have more fortitude than I, but if your husband isn’t supporting you, reconsider homeschooling and pray for his change. Maybe this year isn’t possible, but maybe next. But don’t be the nag that makes him stand his ground without wavering. Use the weapon of prayer that moves mountains. In the meantime, maybe God is also preparing you to be a better teacher for your children. Myth # 13 Everyone should homeschool. There was a time when I thought everyone should homeschool. Didn’t God command parents to “train up a child in the way he should go”? Parents are responsible and accountable to God for what their children are taught. But I’ve seen some disasters in homeschooling that makes me think (maybe judgmentally), there are exceptions. When you know why you homeschool and the reason is from God, you can stand on your decision when problems come. Which leads to the next myth, why do you homeschool? Myth #14 Homeschooling keeps your child from the real world. Homeschooling prepares your child for the real world. The FBI trains their people to identify counterfeit money. Do they study all the different ways people make it wrong? No! They study what is real. By knowing what is real, they can spot fake anytime. Same with your child, by knowing truth, your child can identify what is false, what won’t work, what doesn’t fit within the framework of God’s Word and world. By knowing God’s Word, they know the real world. My mentor in graduate school illustrated that to me. There are many premises we have incorporated into our belief system that are not Biblical, yet we elevate them as God’s truth because some Christian scientist explained a historical process. We hold those beliefs equivalent with God’s Word because they were told by Christians. But sometimes our scientific explanations at what happened don’t interpret the facts completely. We hang onto those beliefs because—they have to be right, don’t they? We must teach our children how to peel away what God says from what man has said aboutGod and His World, taking the silver and discarding the dross. By making the Bible as a center of our curriculum, not only studying the Bible but seeing all the world, history, math, science through the eyes of scholars who know God, our boys see the application of God’s truth in all things. They know truth. When they know truth, they won’t be deceived by close truths. If my child can’t name all the presidents in the history of the U.S., I won’t be upset. But if my child grows up and forsakes God’s Word, I will be very concerned. That’s where real living works. That protects them for Satan’s darts and the world’s pull. I don’t want them to be satisfied living an average life when God has called them to be great. Myth #15 Homeschooling protects them from the evil world. We do not homeschool to create a safe place for our children to know God and live so that they may raise their safe children in a safe environment. We homeschool our boys to prepare them for the real world. Jesus said, “Go into all the world.” Not stay in your homes and be safe. We homeschool so we prepare our boys to tell a lost and fallen world that God came to save them. Who else but Christians have the answers to life’s problems? We need Christian scientists, engineers, ranchers, farmers, soldiers, gardeners—people from all walks of life, to show the world God has the answers. By pursuing their God-given gifts and talents, they show a world Who God is. They are not to stay out of the world. They are commanded to go into it. But not without training, not without preparation, not without God’s Word and Spirit. Homeschooling teaches you, as a mom, to recognize you can’t do it. But God helps you, because He, too, wants you to train up your children to do what He wants for them. He gives strength, wisdom and help for this day. If God calls you to teach your children, then He will enable you to do it. That also means, God will enable your children to learn what He needs them to know. We train our children for God, to know and obey God. There is nothing God won’t do with a man trained for Him to do His work, even if it takes using the boy’s mom to do it. OK, other homeschooling moms (who have survived and lived to tell about it), what did I forget? Matt has commented in the past about a pervasive misconception/attitude (your list of myths made me think of it) that homeschoolers are "better" than other schoolers. As he puts it, we are all made in God's image, and we are all sinners! Being homeschooled doesn't make you better than everyone else! I definitely saw this attitude at times (and had to fight it within myself) growing up in a homeschooling community. I asked permission to include some comments that came through my email.